The next two weeks are going to make fantasy football players earn their spots in the standings, with six teams on byes both weeks. 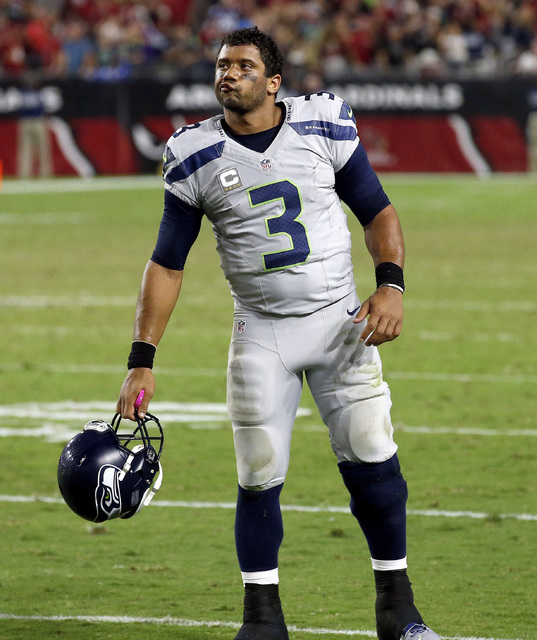 Fantasy owners will have to plan well to fill in for many of their idle starters. The next two weeks are going to make fantasy football players earn their spots in the standings, with six teams on byes both weeks. Fantasy owners will have to plan well to fill in for many of their idle starters, and injuries won’t make things any easier. Before you start stressing out, though, we are here to help you navigate through the daunting seas of NFL Week 8. If you are well prepared, the bye storm won’t take your team down and it will eventually pass. Fantasy owners looking for quarterback help seem to be taking to Jets passer Ryan Fitzpatrick as a friendly “streaming” option — a choice for this week, not as someone you would regularly play. Cleveland’s 29th-ranked pass defense has allowed an NFL-high 18 touchdown tosses. But the Browns also have the AFC’s worst run defense, and the Jets might elect to ride Matt Forte heavily as well. 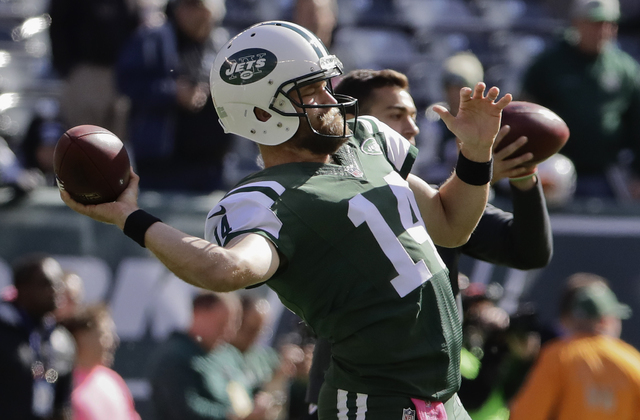 Fitzpatrick’s struggles have come this season when he has been asked to carry the offense. Look for the Jets to establish the ground game to open up things for Fitzpatrick. He doesn’t have tremendous upside this week, but can provide solid numbers if you need a plug-in. Just don’t start him over a more regularly reliable quarterback. Josh McCown returns for Cleveland and is a viable one-week play, too — the Jets’ pass defense ranks 26th in the league. Russell Wilson has certainly not looked like himself recently, as health concerns have prevented him from being his usual nimble self. A matchup with the Saints’ 30th-ranked pass defense would seem to be a must-start matchup for Wilson in most instances, but right now, he is no sure thing as an easier target with mediocre blocking. Still, you have to use him because his playmakers can ensure he at least has a decent outing. Doug Baldwin is a must start, and Jimmy Graham is facing his former team. One player you might want to avoid as a bye week fill-in is Tyler Lockett. Regardless of matchup, he does not look like his usual self, as a knee issue has seemingly robbed him of some of his burst and explosion. A recent thigh problem won’t help his matters, either. Don’t hesitate to turn to Minnesota running back Matt Asiata. He is the Vikings’ clear touchdown runner of choice in short yardage situations, and Chicago has allowed 10 rushing scores. The situations in Detroit and Washington also bear heavy watching from those looking for running back fill-ins. Theo Riddick might return from an ankle injury for the Lions and should immediately be plugged back into point-per-reception lineups. Lions rookie Dwayne Washington might get some work between the tackles and touchdown opportunities. Washington’s Robert Kelley might take over as the starter for the hurting and fumble-prone Matt Jones, and Chris Thompson could see a healthy amount of touches for PPR players as the Redskins’ clear receiver of choice out of the backfield. 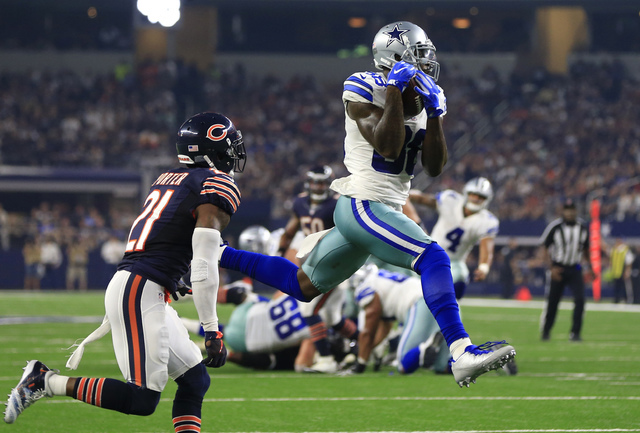 Dallas star receiver Dez Bryant is expected to return from a knee injury against the Eagles. Philadelphia has the third-best pass defense in the NFC, but you have to get Bryant back into your lineup, even if your expectations might be somewhat tempered. Quarterback Dak Prescott showed a real willingness to get him the ball in scoring and contested situations in the preseason and early in the regular season. Bryant’s return does not mean you should expect too much less from receiver Cole Beasley, as Prescott has developed a real affinity for him as a safer target on key passing downs. The Tampa Bay offense becomes an interesting source for production against the Raiders, who have the league’s worst pass defense and the fifth-worst run defense. Running back Jacquizz Rodgers is a definite start, but with his 5-foot-6-inch, 205 pound frame, the Buccaneers should not continue to use him as a workhorse, and you might see the more bulky Peyton Barber get some work, too. Barber is worth consideration as a desperation play. Russell Shepard caught five passes for 77 yards and a touchdown last week and is a nifty fill-in at wide receiver. Tight end Cameron Brate always has touchdown potential, and Jameis Winston is an obvious quarterback streamer. If you play in an ESPN league, you should note that Ty Montgomery is now eligible at running back, giving you some flexibility, especially when you need to cover byes. The Packers play the Falcons, who have the worst pass defense in the NFC. This is an opportunity for wide receiver Jordy Nelson to at least get back into the end zone. Davante Adams enjoyed a career outing last week against Chicago, and while he is unreliable as a third receiver in the Green Bay passing game, you have to lock him in this week. Keep a watch on running backs Don Jackson and Knile Davis to see if either player emerges. While Houston wideouts have been frustrating, you can start DeAndre Hopkins with confidence and also get big-play threat Will Fuller back into your lineup. The Lions have the league’s 23rd-ranked pass defense and are tied with the Browns with an NFL-high 18 touchdown passes allowed. The Texans are starting to make a real effort to get Hopkins more involved. Some fantasy analysts buy into the occasional “revenge game” angle when the player is good and other surrounding factors seem to contribute to the script. Seattle’s Jimmy Graham is a key example, as the Saints traded him, but you’re not going to bench him anyway. Look for New England’s Chris Hogan to enjoy his return to Buffalo as part of the powerful New England offense. Tom Brady will want to get the former Bill the ball in some key situations, especially for a touchdown opportunity.